So, I was given a book for review. This is not the typical type of book I read. Fiction is my thing. However this looked interesting and like something I could share with my children. So I agreed to review it, even though I don’t review often. I used it as part of my children’s schooling in our study of the Civil War. This was the story of Sergeant Harmon Camburn, a Union soldier who spent three years in Civil War. A detailed account from a soldier’s point of view that offered much more than a simple historical account. Now, don’t shrug your shoulders and click away just yet. Read my review before you decide a non-fiction book about the Civil War isn’t for you. 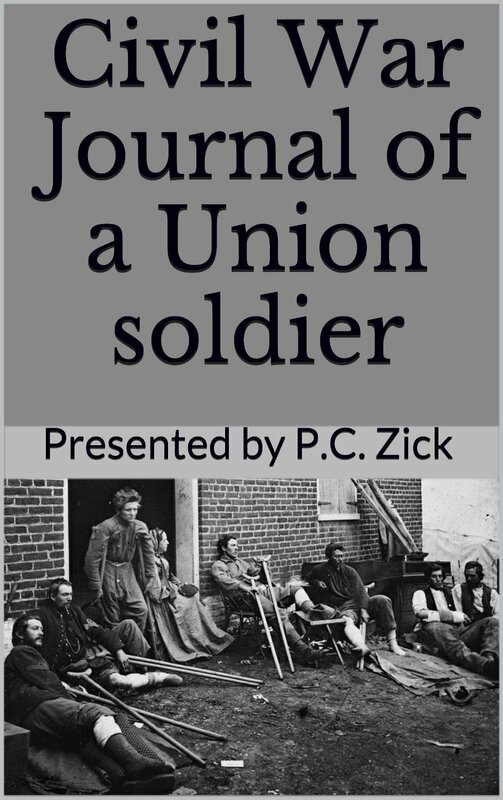 Here is a personal account of the Civil War when young men were forced to kill their own countrymen. Ms. Zick grew tired of the journal gathering dust on her bookshelves. She began typing, editing, and annotating the journal after she realized it deserved a wider audience. In the study of the Civil War, my children and I embarked on a journey with Sergeant Harmon Camburn. This a rich account from a soldiers point of view. Camburn’s words paint a rich tapestry often shadowed with the bleak aspects of war. As we read, we followed his movements throughout the war with a map laid out in front of us and a highlighter in hand. Because this is from a soldiers point of view, he doesn’t always know the why or where of things that are happening further up the chain of command, so I supplemented this story with readings from historical sites concerning what history recorded of the events. The kids took great delight in connecting the dry historical records with richness of the events that happened in this journal. After reading one particular passage detailing one of the long, arduous marches, the kids and I stopped to read a historical account of the march to that battle. In the historical account, it said simply the troops had to struggle through the heavy mud on their march. In the journal, as we followed Camburn and his group on this march, we walked with the soldiers, struggling through knee deep mud and the wash of water that sloshed to our waists. We felt the hunger and privation brought on by the inability of the supply wagons to pass over the muddy ruin of the roads. Later we spent days helping to the pull the horses and mules up steep rocky roads and trudged alongside the soldiers as they helped ease the animals down the far side. We spent many a night, sleeping on the ground in the cold rain, and many a night ignoring exhaustion and hunger as we did our best to retreat and hold back the advancing enemy line at the same time. We were treated with disdain by Confederate loyalists and fawned over by loyal Union citizens. Among the hardships of war, we were delighted with many pranks and side adventures as the soldiers sought to relieve the boredom of winter camp or scavenged for food in the country side. We were surprised by the several encounters with rebels where there was a friendly exchange instead of one of fire, and saddened when members of the 2nd Michigan lost their lives. Camburn is one of those individuals one wishes they could sit down and spend hours talking to. I know in the future when I’m asked to name five people living or dead I would love to spend the day with, Sergeant Harmon Camburn will forever be among those five names. This journal is a wonderful tribute to his life, service, and sacrifice. I’m thankful his great granddaughter, P.C. Zick took the time to put this in a format that is available for everyone. I firmly believe this should be in every school as part of the curriculum. Far more was learned from it that I ever learned in school from the page or two devoted to it in a dry history book. And because the account is so real, vivid and rich, my children were engaged in it. Many questions were asked, many things looked up, comments given, laughter elicited, and much involvement was had by all. Instead of the Civil War being nothing more than some battle names and dates remembered for a test and promptly forgotten, the life of a soldier and the war took on real meaning for my children. They contemplated the hardships faced by the soldiers and the loss of life the Civil War wrought. As we read the last few pages and the losses of the the various U.S. wars was listed, the numbers of lost lives were greeted by the sober faces and countenances of my children. I cannot even fathom enough stars to to adequately convey the how much I loved reading this. To say the least, I recommend it, for those who love history. For those who don’t care much for history, I still recommend it for you will develop a love for it as you follow Sergeant Harmon Camburn. Author bio for the wonderful P.C. Zick (a talented in writer whom one has to wonder if she inherited the ability to paint pictures with words from her great grandfather) who took the time to make her grandfather’s words available to the world. May Harmon Camburn live long in the memories of many now. She writes three blogs. She’s working on her sixth novel, Native Lands. Live from the Road was her first venture into self-publishing in 2012. Trails in the Sand followed in January 2013. She’s also re-issued two novels previously traditionally published. She also writes nonfiction. From Seed to Table is a collection of blog posts about gardening and preserving produce. She’s also published her great grandfather’s Civil War journal, Civil War Journal of a Union Soldier. 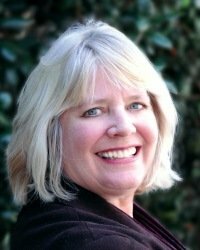 Her blog and her novels contain the elements most dear to her heart, ranging from love to the environment. She believes in living lightly upon this earth with love, laughter, and passion. She resides in Pennsylvania with her husband Robert. Sounds like a fantastic book! I love that you read it with your kids to help teach them the history. Reblogged this on Lexy Wolfe. My pleasure! It sounds like a very worthwhile book, especially for history buffs. Thanks for such a beautiful review. I know now I did the right thing by bringing his journal off my shelf and into the light. Thanks for the reblog. Lexy. Reblogged this on Writing Whims. Now that’s the kind of review that touches a writer’s heart. Well done.